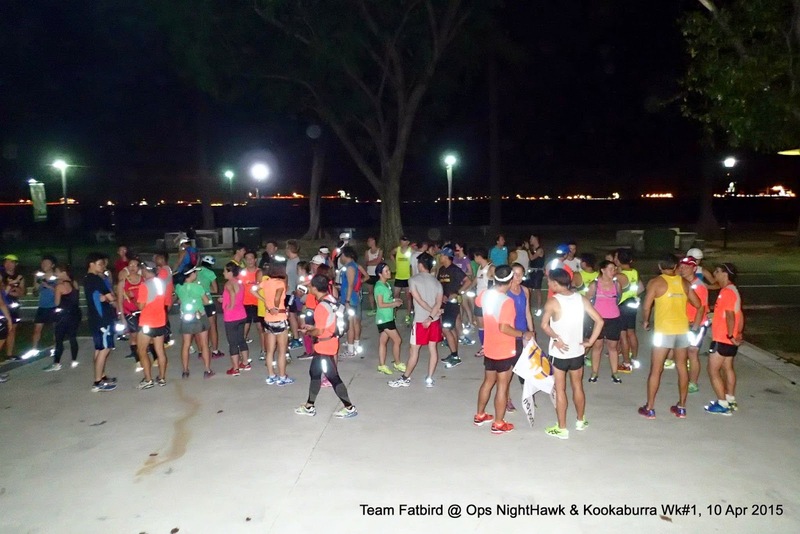 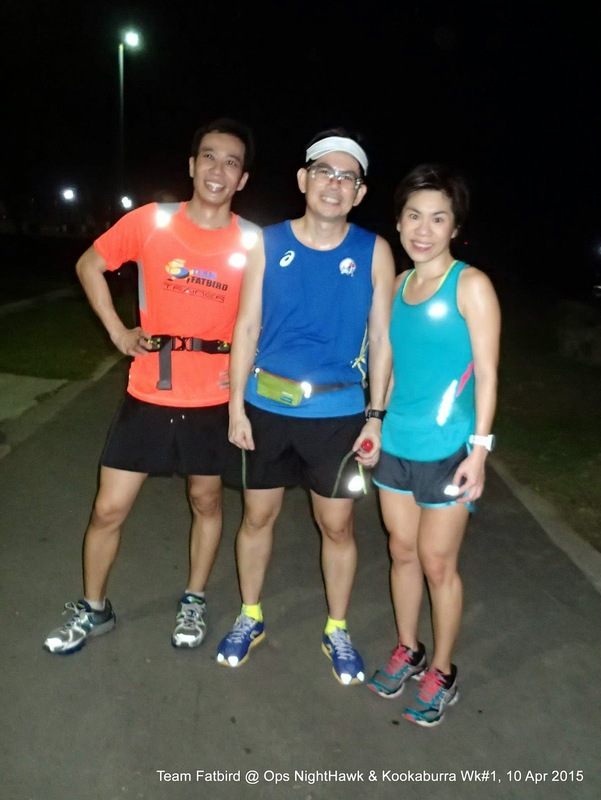 The highly anticipated 12-week Operation Kookaburra (Marathon Training for Gold Coast Marathon) got off to a smooth start at the newly minted Parkland Green at Singapore's East Coast. 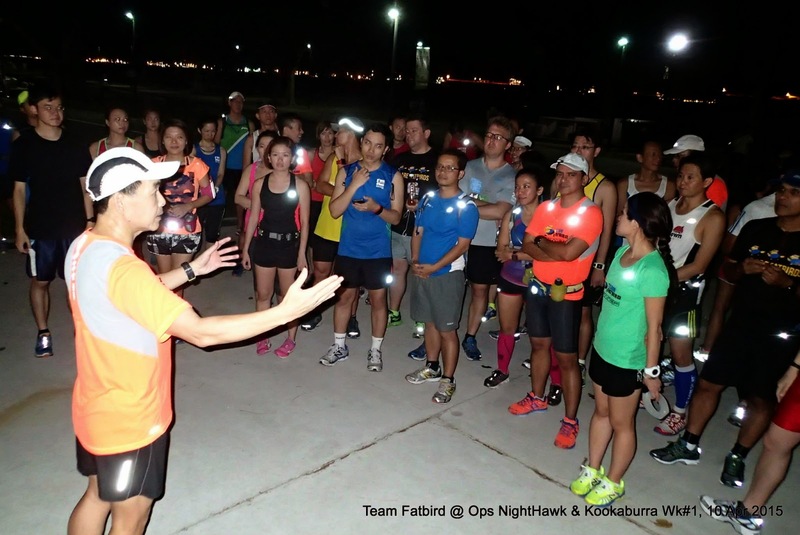 After the sizing of the training tees and finisher singlets were done, the trainees were warmly welcomed with a briefing of what to expect in this 12-weeks of FlightZONES training, and how 2/3 of the weekend long runs are held in the night for conditioning purposes as well as getting in some cooler weather. 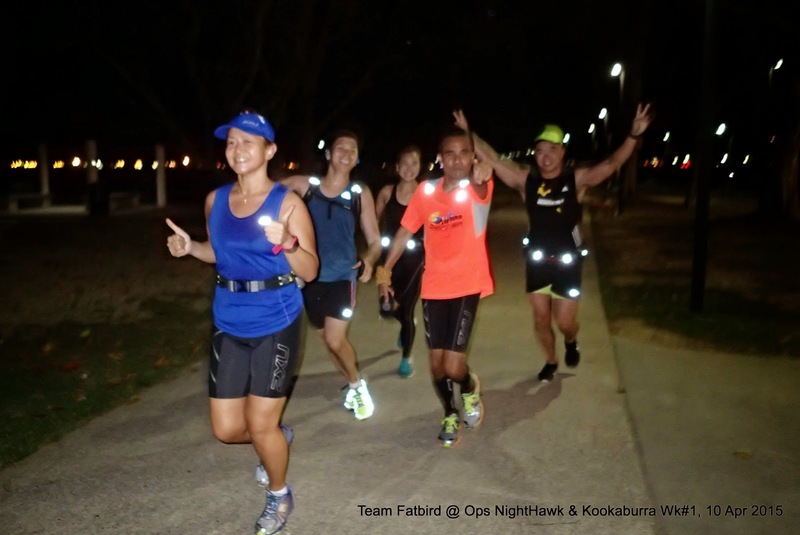 The trainees were placed into their respective training groups according to their marathon goals and hooked up with each of the FM and HM pace group trainers/pacers. 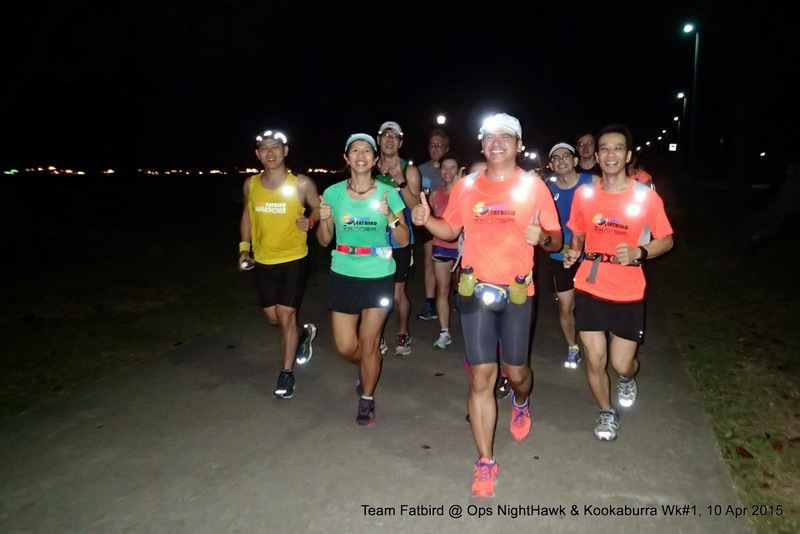 After some training instructions and words of encouragement from the trainers, the respective groups were flagged off toward the direction of Fort Road. 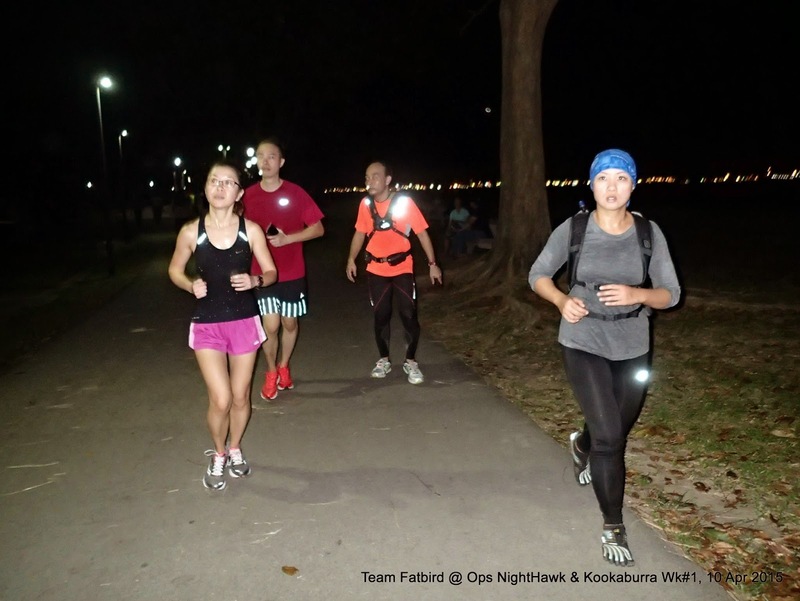 Each pace group ran at their prescribed basebuild pace with the intention of having achievable increments in the distance and pace targets as the weeks progress. 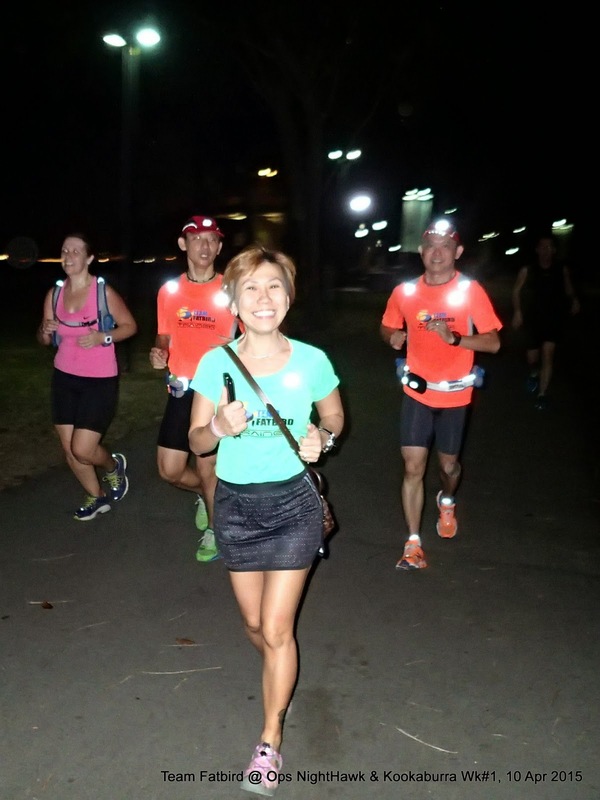 For many of the new marathoners, the initial 3-5 weeks would be a good time to access their abilities and comfort levels with respect to their marathon goals. 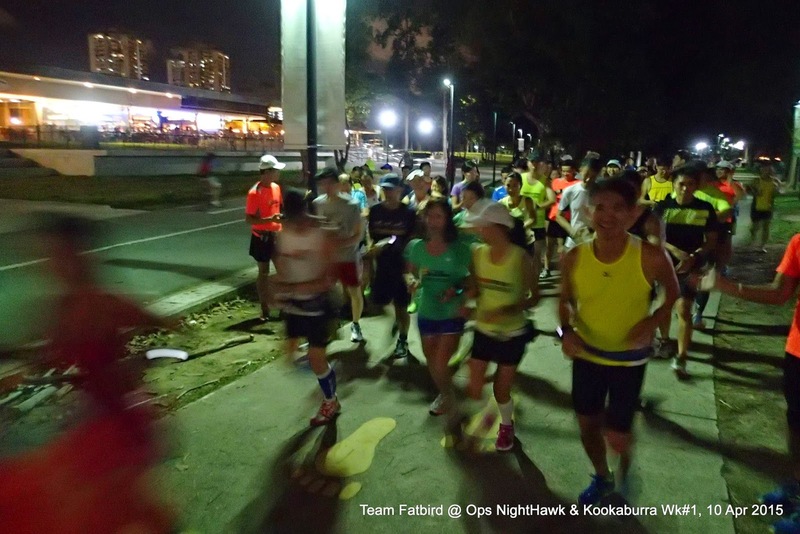 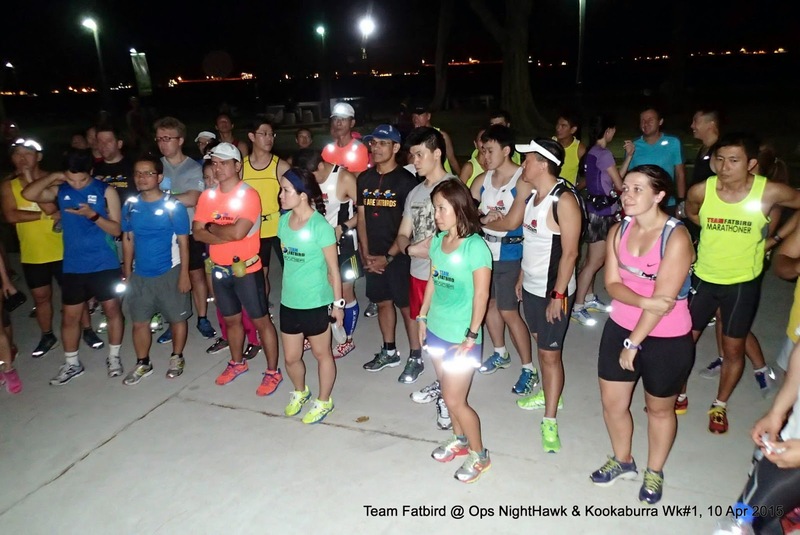 The first half of the night's run went according to plan for most of the Kookaburra trainees. 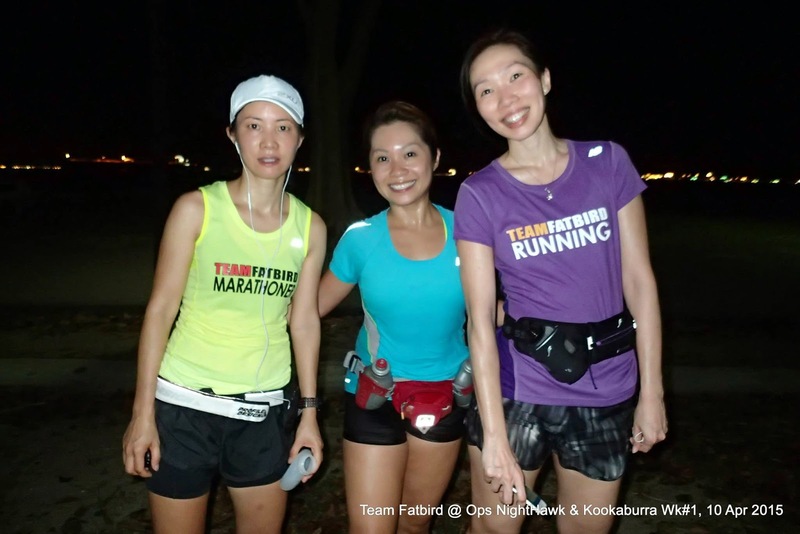 There were mild winds in the midst of rather humid weather. 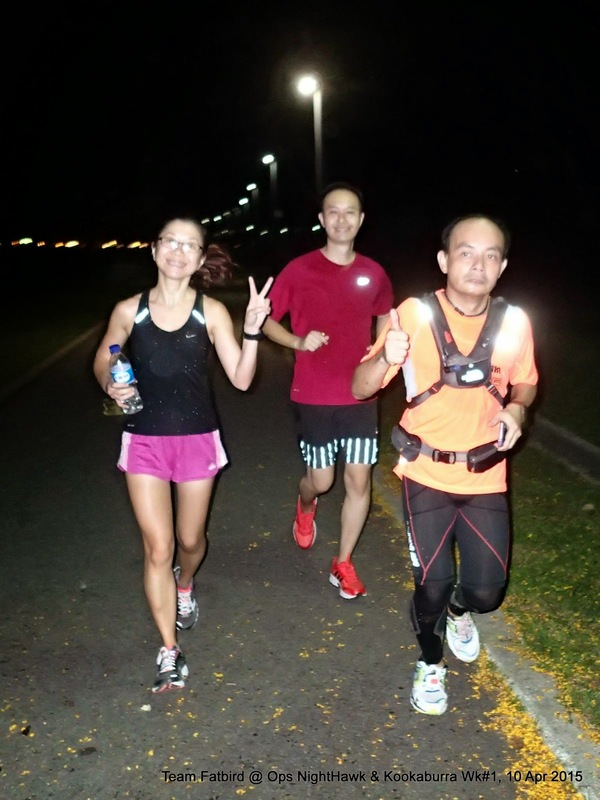 As the distance wore on, apparel were dripping wet with perspiration which often times even flowed down into the shoes. 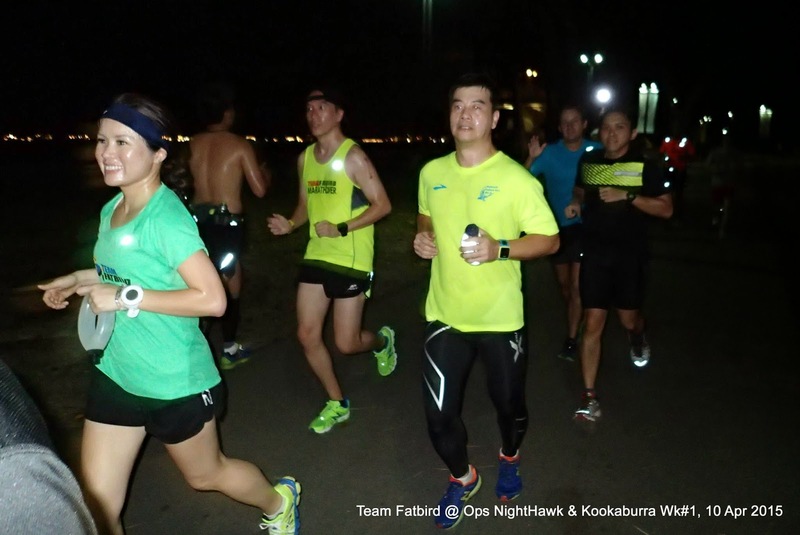 A number of the trainees, especially the new ones found the paces harder to sustain in the second half due to fatigue and the night drawing late. 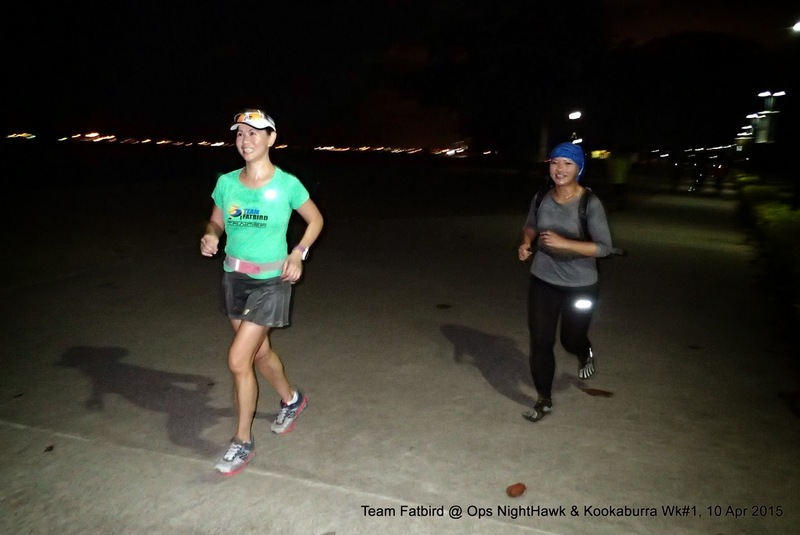 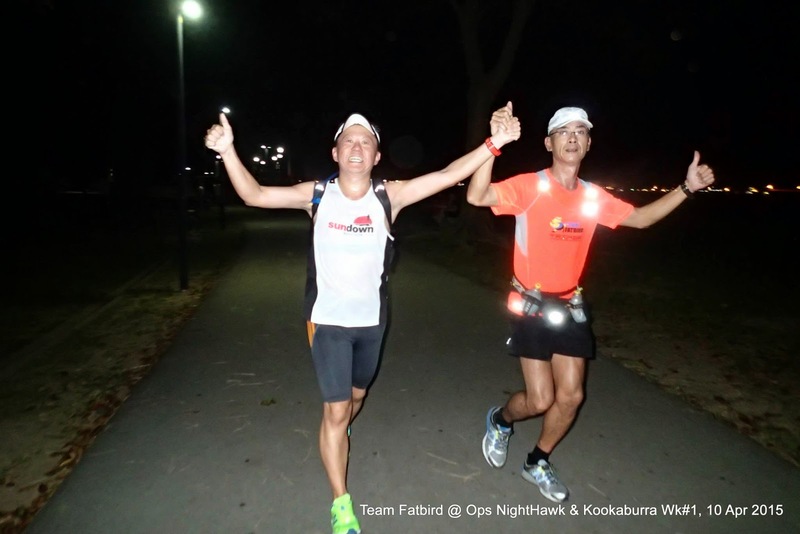 There are a number of challenges in night distance running which can make it even harder than in the morning, and hence the need for lots more night runs to help the marathoners condition better for a good night race. 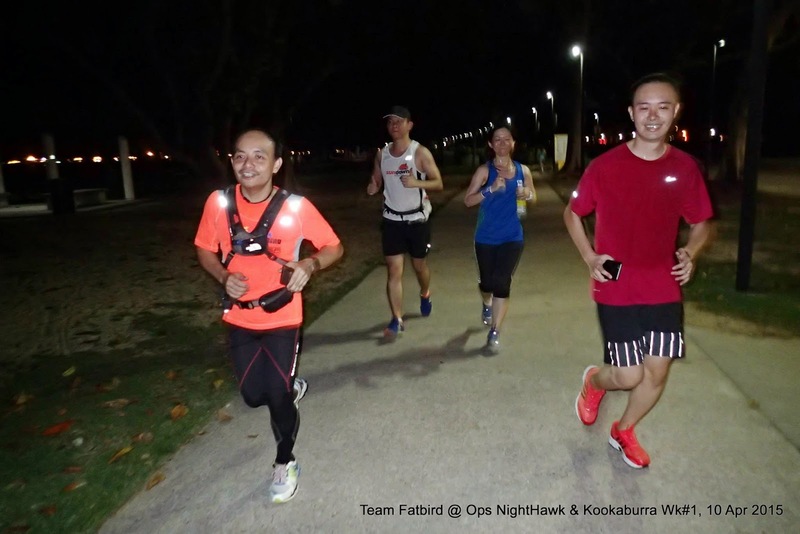 By the 3/4 mark in the training distance, a number of trainees were slowing down due to the high humidity coupled with the winds being blocked off by the large groups of infantry soldiers marching onwards for their POP on Saturday morning. 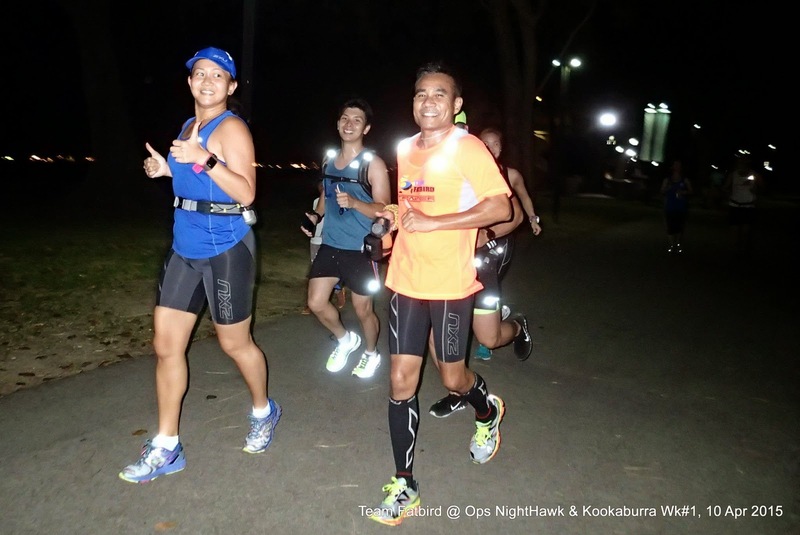 The smaller group of Half Marathon trainees returned earlier and happy to have completed 10-14km what for many was their longest run to date. 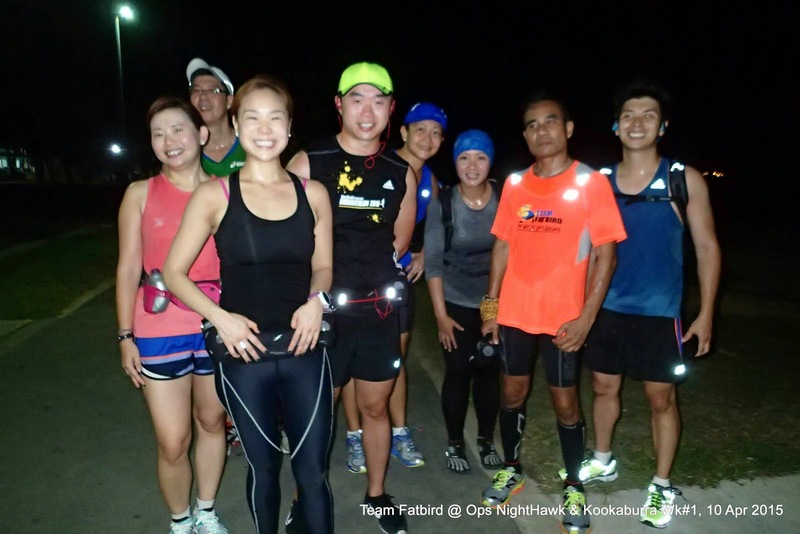 The Full Marathon trainees seemed more experienced and were able to complete within the maximum allowable time, albeit looking tired and drenched with sweat. 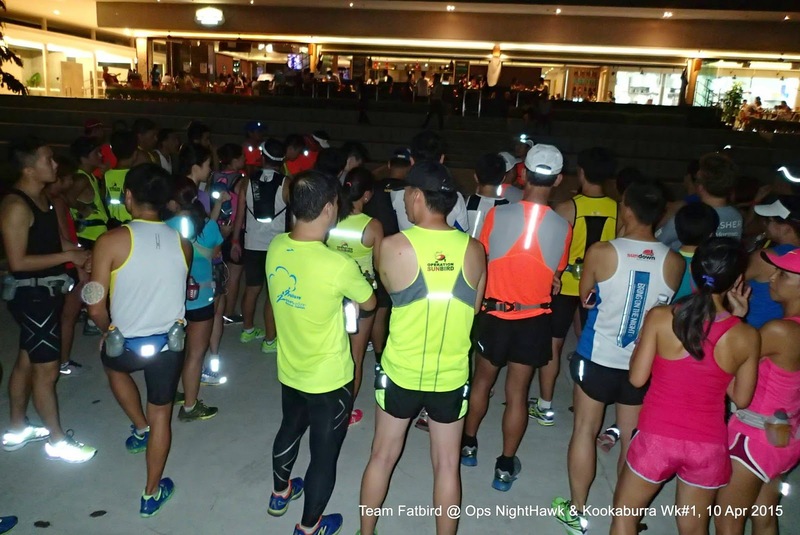 After isotonic drinks were downed and the heart rates recovered somewhat, a short debrief was conducted to share some of the initial lessons learnt and what to prepare for subsequent training sessions, both morning and night. 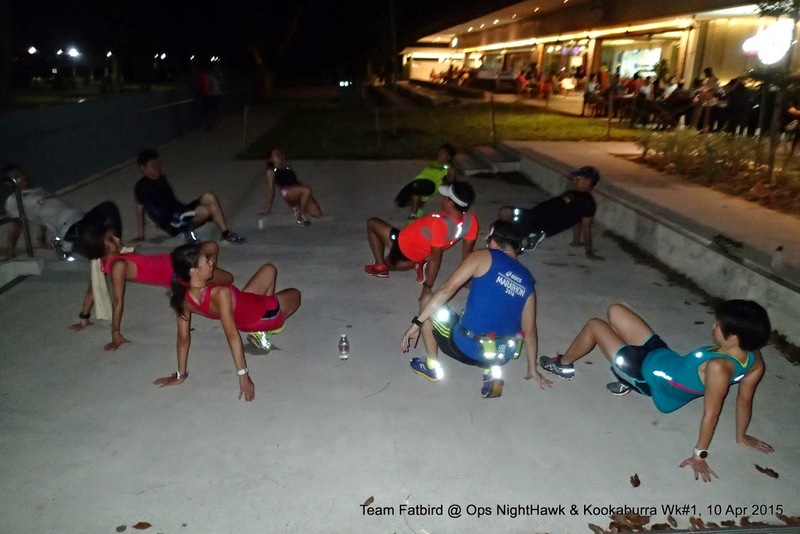 The experienced Team FatBird trainers also conducted a much needed round of static stretching to soothe and ease those tight muscles and we were encouraged by the enthusiastic participation of the trainees. 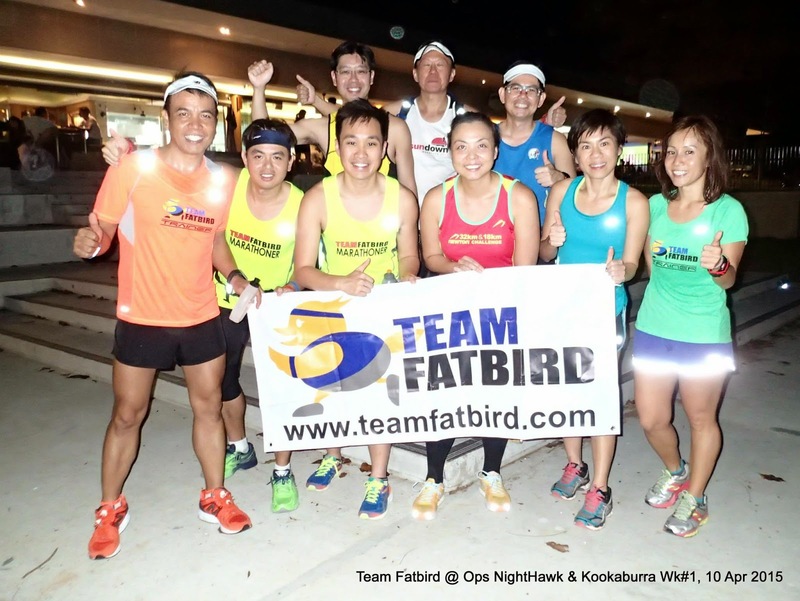 The Team FatBird training crew is happy with how the kickoff session went, and judging from the committed and determined faces of the flock, we are confident of bringing the best out of the trainees who are consistent with their attendance and application of knowledge and experiences gained for the remaining 11 weeks. 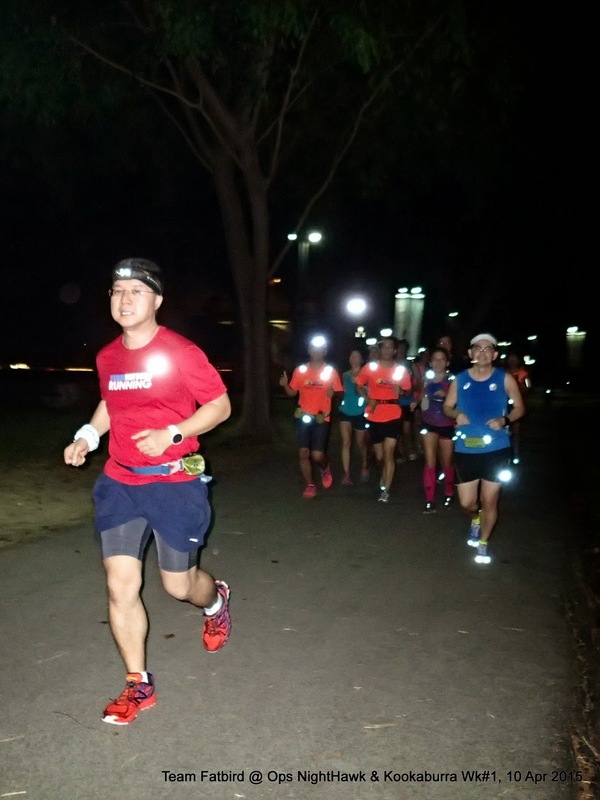 Training will see us go to the trails and hilly terrain of MacRitchie Reservoir Park the next 2 weekends, followed by some good hill workouts at the Mt. 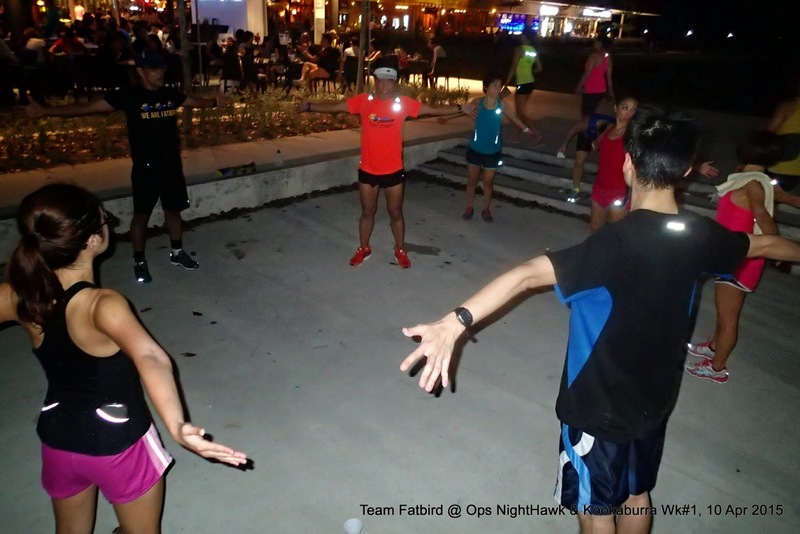 Faber region the following weeks, which should build up a sound base for all the trainees midway through the programs. 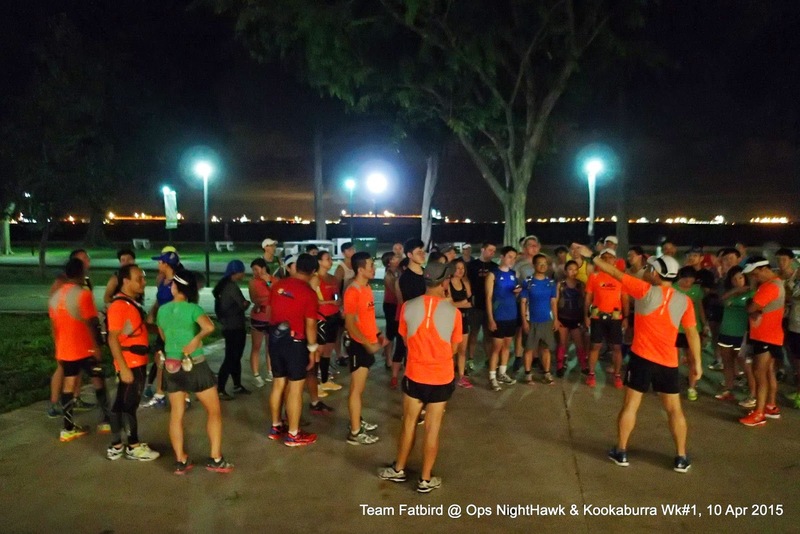 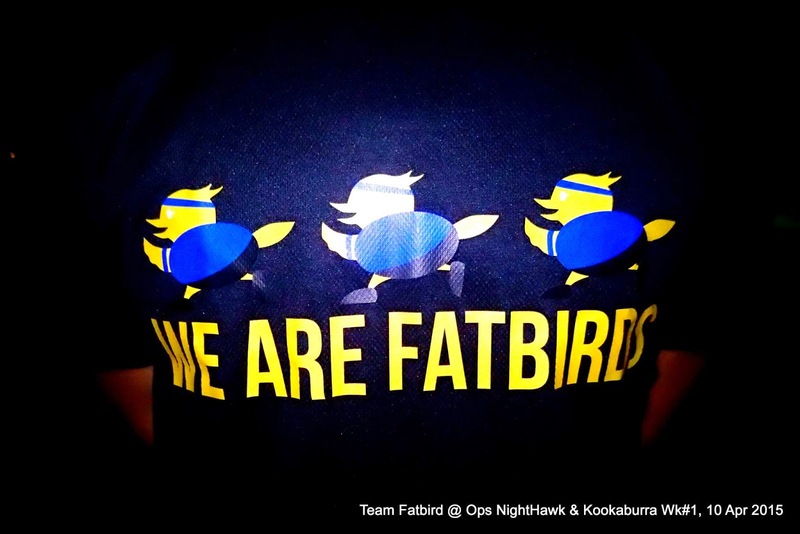 There are still limited training slots with full entitlement for Ops Kookaburra (Registration HERE) for those of you who are looking to begin some serious structured training to prepare solidly for Gold Coast Airport Marathon (GCAM) in 4-5 July.